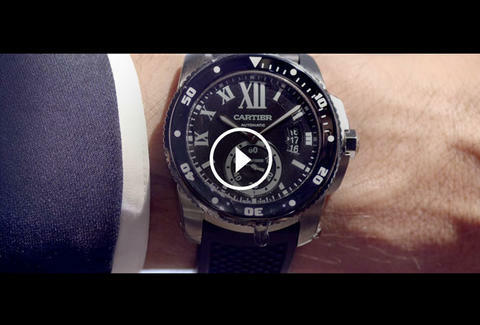 If that video depicting the brand new Calibre de Cartier Diver epically plunging through the watery depths didn’t give it away, this will: Cartier’s new dive watch caters to deep sea gentlemen in a big way. This slice of water resistant wrist-wear features illuminated hands, a unidirectional turning bezel, and is available in five styles from steel to pink gold. If you want a bit of a deeper dive (sorry, we had to), head over to Supercompressor or scroll on down for a closer look at this glorious, ISO-certified, just-the-right-size specimen. After all, if you can’t go 300 meters underwater and look immaculate at the same time, then what are you doing?